Executive management and portfolio managers, now have one place to view health of multiple portfolios using Portfolio Dashboard. Portfolio summary, Health/status indicators like milestones, portfolio issues, budget/cost, risks, changes across multiple portfolios can be clearly tracked at one place. One can also use filters to view dashboard of projects staus from a given portfolio or specific projects in multiple portfolio of projects. It is not uncommon to see project manager managing multiple projects simultaneously. 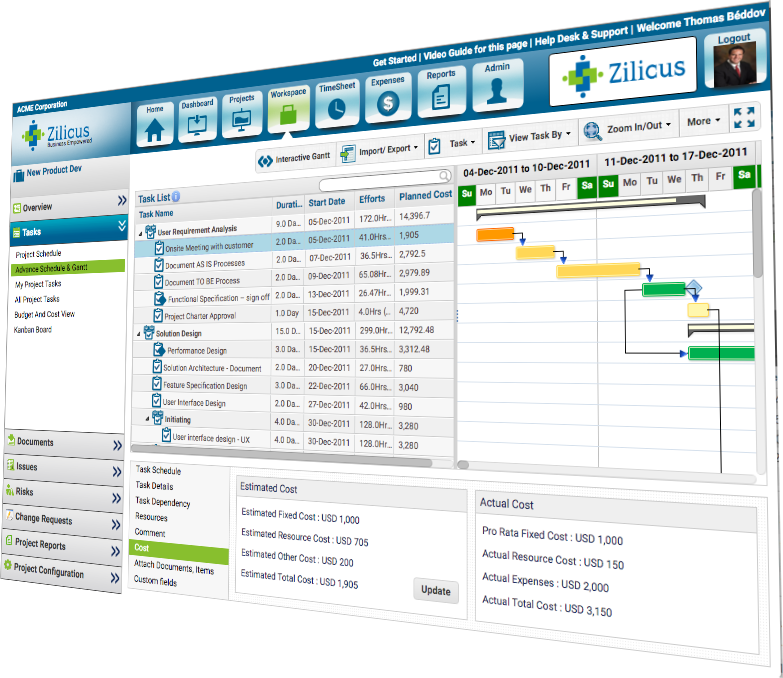 Project managers can track all those projects at a go using multi-project dashboard. 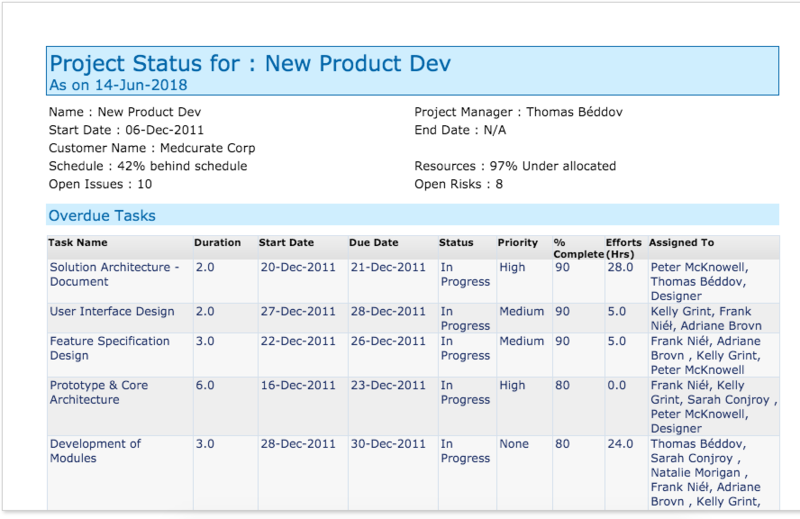 This is an interactive/ drill down multi-project dashboard that allows project managers to get clear visibility of project status and s/he can click on those charts/bars to drill-down to the exact specific project area or bottleneck that may be stopping project from progressing. 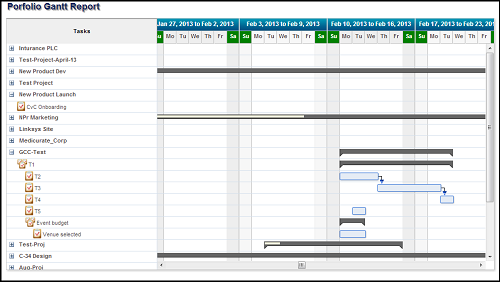 Visualize and track project schedule progress through Gantt Chart looking at number of tasks completed/In Progress, assigned to a specific resource, based on task status, based on priority, etc parameters. 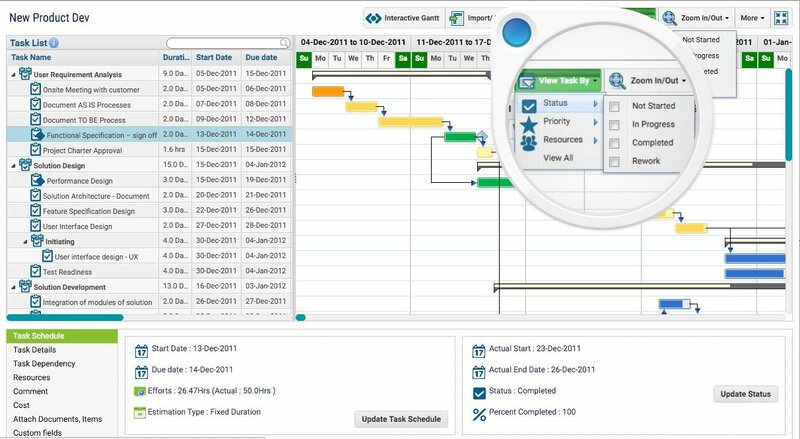 Project managers can visually track project schedule by looking at Gantt chart as well as applying task filters in Gantt Chart view such as task status, task priority, task resource, start date, due date, etc. Like Earned Value Management? ZilicusPM shows earned values for your projects. Check SPI, CPI, etc for your project using this report. Project managers can not assess the billability of the project unless s/he knows how many billable hours are entered by project team members. 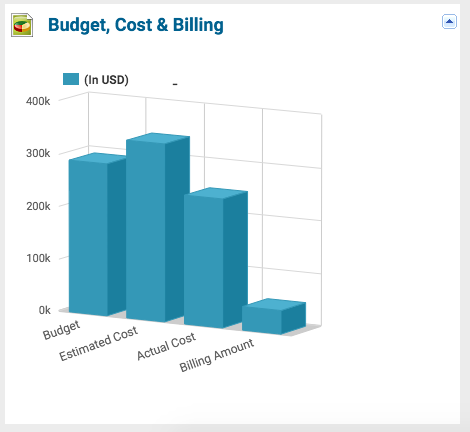 This report precisely allows project managers to understand the billing for a given project/ customer. With this report, project managers have better visibility into resource allocated to different projects. Now see your project progress through parameters such as number of tasks completed, pending, based on priority, etc parameters. This is a very useful report for project managers to assess whether they are planning it right or specific resources need more attention. This reports shows health of all projects in all portfolio in terms of - resource utilization, project percentage completion, issue, risk status, task status by due date, etc. Track project change requests in a given projects or across multiple projects in a portfolio. One can track statu of change request, sort by priority, find out who has reported changes, who is working on change request, etc. 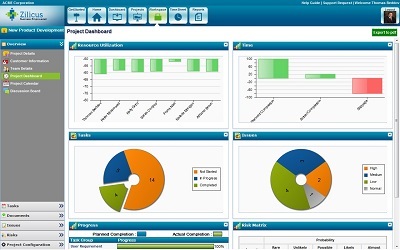 These reports are interactive, meaning, one can click on the entry in the report to open details page of a change request, wherein one can also impact assessment, benefits analysis, proposed implementation date, etc..
A timesheet report gives a comprehensive view of actual working hours of each of your team members along with their total log hours. 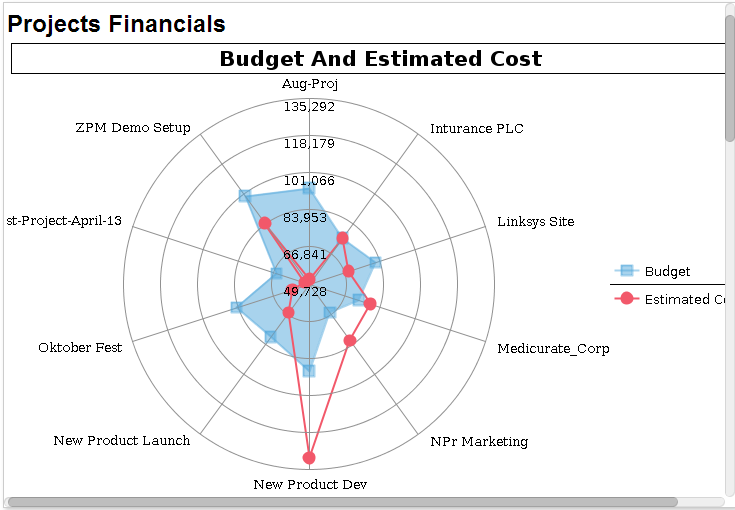 Track project budget, estimated costs and compare thoses with actual cost. 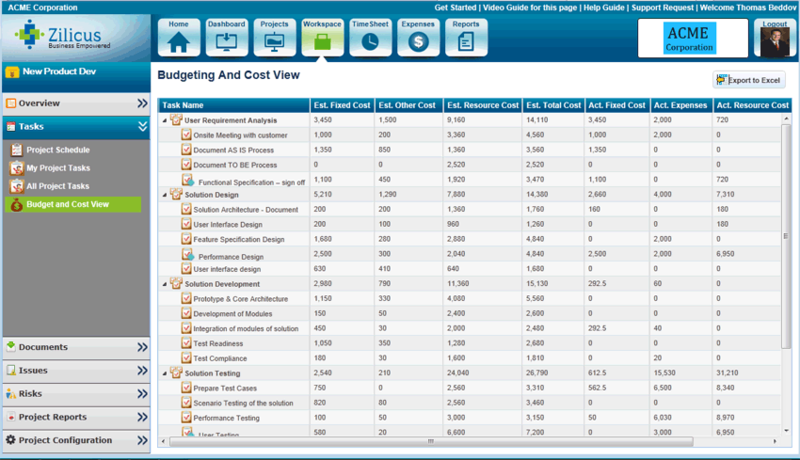 This report enables you to compare project estimated cost and actual cost per task, side by side.